A regional publisher has stated its intention to “grow” 13 newly-acquired newspapers after union chiefs urged the company to invest in the titles. As reported last week, Newsquest has bought independent group NWN Media, which employs around 300 people and publishes papers across North and Mid Wales, Cheshire and Shropshire. The National Union of Journalists has now urged Newsquest to reassure its new staff that their jobs are safe amid warnings from Welsh politicians of potential job losses. But Newsquest has responded to the union’s calls by making clear its intention to grow the NWN business. The NWN portfolio includes Wrexham and Flintshire daily The Leader, as well as around a dozen weeklies including the Chester Standard, Oswestry & Border Counties Advertizer, Rhyl Journal and Whitchurch Herald. John Toner, NUJ Welsh national organiser, added: “Newsquest seems to be buying up newspapers at an alarming rate while making staff redundant. Their brutal treatment last Christmas of the sub-editors employed at Newport is still fresh in the memory in Wales. Llyr Gruffydd, a Plaid Cymru representative for North Wales in the Welsh Assembly, last week expressed concern over the move – citing previous job losses at Newsquest’s Newport production hub as an example of “problems elsewhere in Wales”. Mr Gruffydd added he hope the takeover would not lead to redundancies, but added it “seems inevitable”. Newsquest has such a good record, doesn’t it? The road to hell is paved with good intentions. And journalists, great newspapers and brands have been consigned to a hellish limbo, not quite breathing of their own accord, not allowed to die gracefully. Not allowed to live and grow, actually. For that would mean investment, rather than the wholesale asset stripping and redundances to pay the banks back and keep the shareholders smiling. Sad news for NWN staff. Their intention may be to “grow” the titles, but what they really mean is to “grow” the profitability of those titles – and that means cutting costs & consolidating resources. So redundancies, edition cutting, centralisation, bye-bye subs…etc etc. They don’t speak the same language as we do, folks! 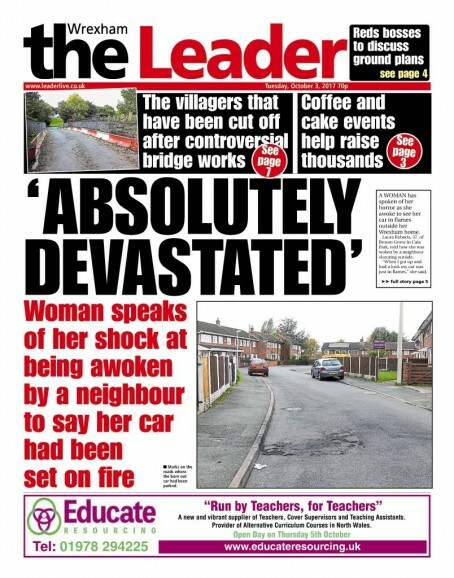 Sorry to sound pedantic, but is a car fire REALLY the biggest thing to have happened in the whole of Wrexham that week? The front splash about car fire sets a newish standard or snapshot of sinking quality among many papers. A joke if it wasn’t so serious. Wrexham is a place buzzing with news if gumption is used to go out and fetch it.